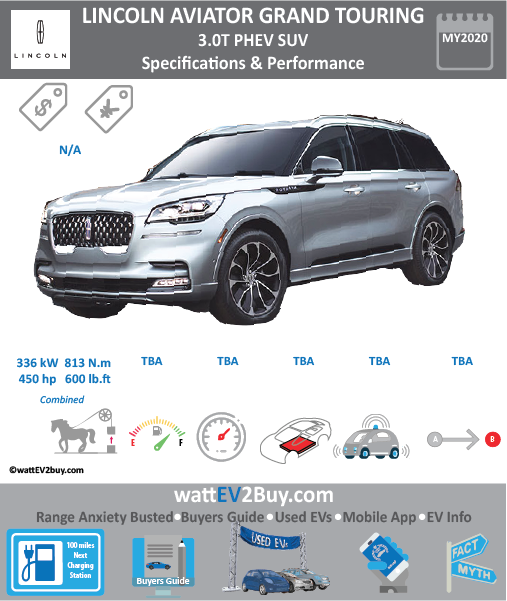 wattev2buy explore the Lincoln Aviator Grand Touring PHEV SUV specs, range, price, battery & charge time as it vies for a position in the EV market. The Aviator Grand Touring’s twin-turbocharged engine and advanced electrified technology is a plug-in hybrid electric SUV producing a combined 450 horsepower and a massive 600 lb.-ft. of torque aimed to deliver greater performance than many three-row, midsize luxury hybrid SUVs. Lincoln Drive Modes allow clients to further customize their drive experience, while a 12.3-inch standard configurable LCD instrument panel. 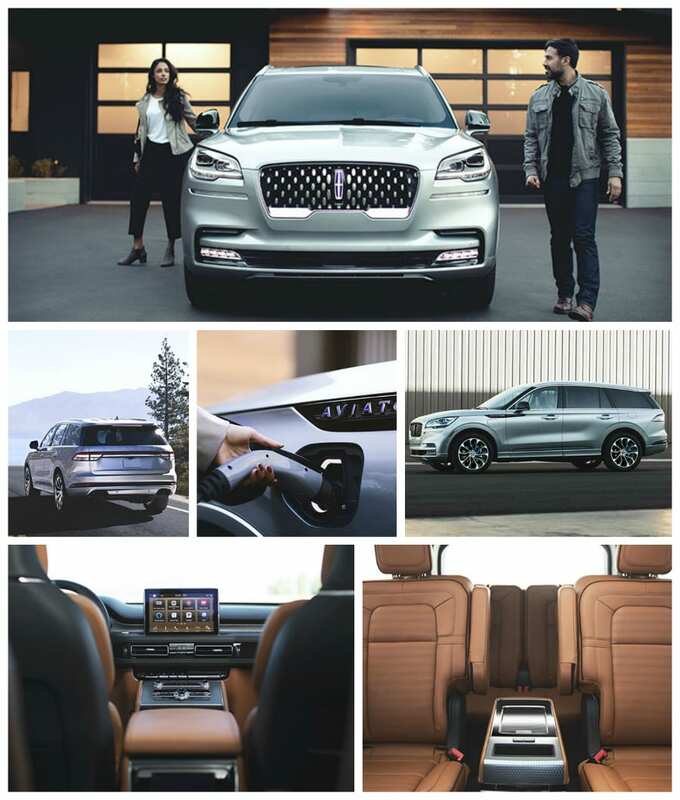 The Lincoln Aviator Grand Touring has seven settings – Normal, Conserve, Excite, Slippery, Deep Conditions, and for electric modes the Pure EV and Preserve EV settings. The Excite Mode helps maximize performance. Drivers can access the Lincoln Aviator with their smartphone’s as a key which is activated through the Lincoln Way™ app. Traffic Jam Assist – adaptive cruise control with stop-and-go, lane centering, and traffic sign recognition. Evasive Steer Assist – to help avoid a collision with a slower or stopped vehicle and provides steering support when a collision cannot be avoided by braking only. Reverse Brake Assist – stop the vehicle while backing up. Active Park Assist Plus – Autonomously steers, shifts, brakes and accelerates the car with the touch of a button to navigate parallel and perpendicular parking spaces with ease. Interested in buying the Lincoln Aviator Grand Touring plug-in hybrid EV SUV? See how the price and range of the Lincoln Aviator Grand Touring plug-in hybrid electric SUV compare with its competitors in key markets. Go to our detailed breakdown of Global EV Sales to see how the Lincoln Aviator Grand Touring PHEV SUV car fares to its competitors in the fast-growing EV market. Currently there are no Top 5 EV news related to the Lincoln Aviator Grand Touring PHEV SUV.